It has past twelfth night and what is noticeable this year, whether because of over-catering or undereating, is the quantity of leftovers. So this post is some ideas of what you can do with them. We try our best not to throw food away – it is a waste of money, time and the environment, but not all of our cooking was trouble free. One of the high spots of my Christmas is the left overs from Christmas dinner reheated on at least two days following the feast. That’s because by the time we sit down for dinner on Christmas Day I am usually too full of appetizers and champagne to fully enjoy the food. When it comes to reheating, the roast potatoes do need to go back in oven but the rest (including the gravy in a separate pot) are fine when simply heated in the microwave. This year was no exception, with plenty of goose and ham leftovers, even after we had sandwiches for eight on Boxing day. 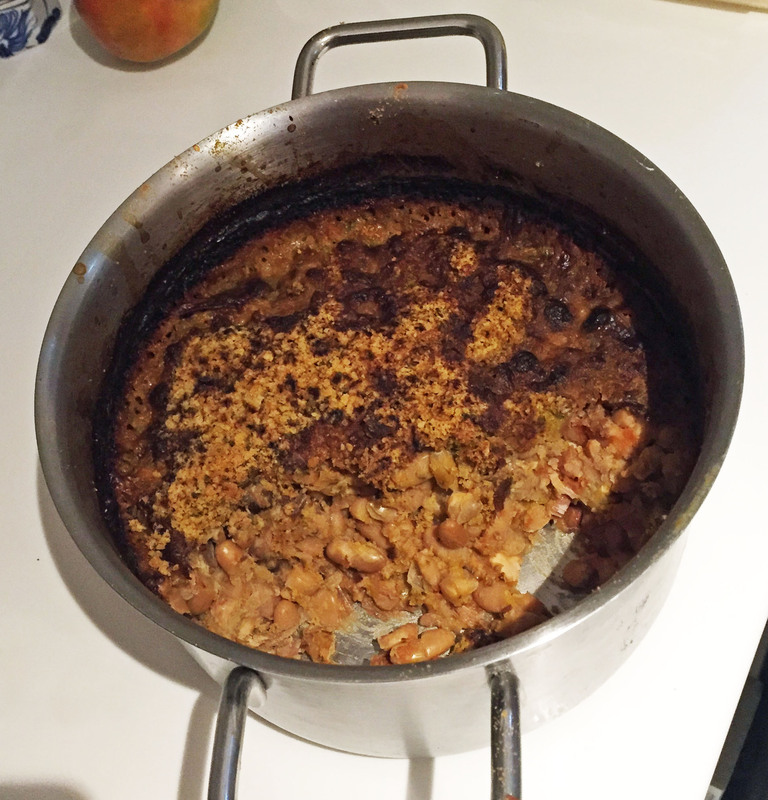 There was even enough meat remaining and, more importantly, both ham and goose stock to make a cassoulet, using the haricot beans from the cupboard. In the end it was not a great success as it was left in the oven too long and, as a result, ended up being much too dry. Next time we will follow Felicity Cloake’s recipe in the Guardian more closely, substituting the leftovers for her ingredients where appropriate. A little went a long way and there’s still some lurking in the back of the fridge. The copious goose fat is rendered down and put into clean dry jars. It keeps a long time in the fridge but this year we plan to give some away. This is mainly to avoid a repetition of the annual ritual of throwing away the remainder of last year’s goose fat, having completely over-estimated the need for roast potatoes during the course of the year. These large bread/cakes are pretty hard to eat your way through and we ended up with quite a lot leftover, even after using it in the Boxing Day trifle (too much like bread to be very successful but no-one minded as it was full of sherry). 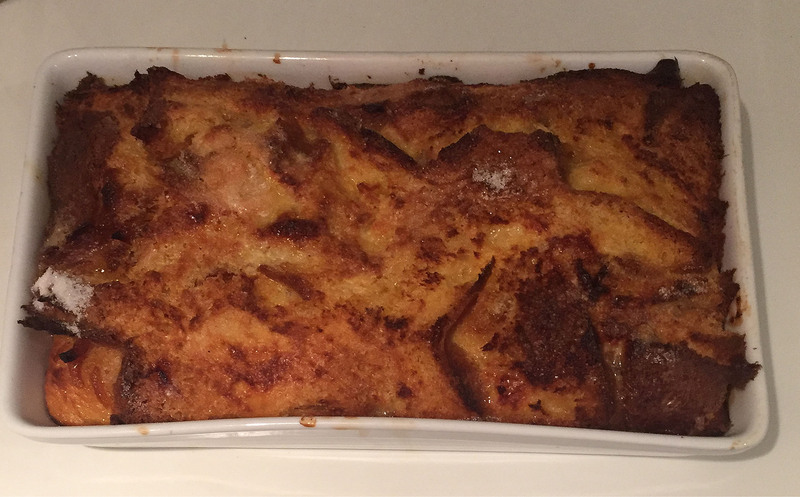 So next try is a marmalade bread and butter pudding. 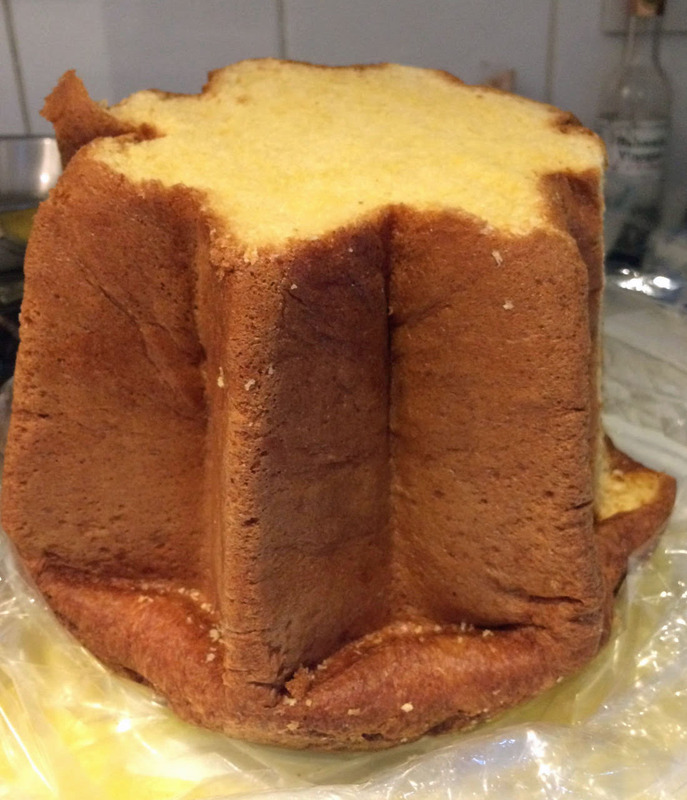 Layer slices of Panettone with melted marmalade (home made) and custard (4 eggs and a pint of milk). It depends on the depth of the container but three layers is probably enough. The top is sprinkled with sugar and butter so it becomes crisp. Cook in the oven at 180 degrees for 30 to 40 minutes. When taking it out it should wobble in the middle but not be liquid. Serve with cream – double if you didn’t overeat at Christmas and single if you are worried about the waistline. 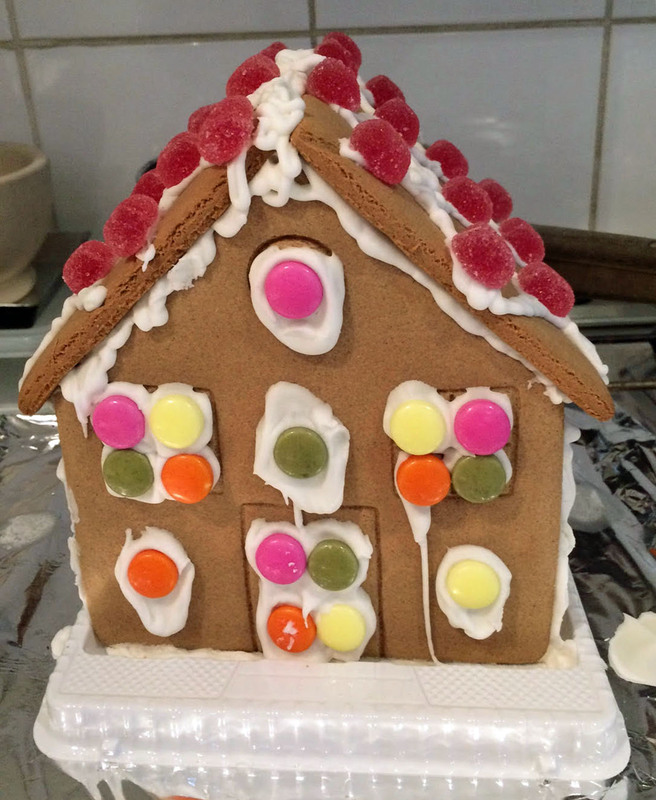 I used to make a gluten free gingerbread house each year, as one of our children suffers from an allergy. Although it taught my children several swear words, when hot syrup dropped onto my thumb, I had to accept that it was never actually eaten. It just sat on the table and collected dust until late January, when it was finally thrown away. So for the last few years I have bought a kit. I had hoped to ditch it this year, but one nostalgic daughter saw a kit going cheap on Christmas Eve when she braved the hell that is Tesco’s shortly before closing time; the saving grace was she put it together. After removing the sweets, various Santas, snowmen and, unaccountably, Bambi, break up the biscuit and remove as much Royal icing as possible. Put all the biscuit into a food processor until you have crumbs. This then makes an excellent base for a cheese cake – just mix with butter and if there is enough royal icing, there’s no need to add any sugar. Press into the bottom of a cake tin and cover with cheesecake mix (either the cooked or chilled kind). Alternatively, sprinkle the crumbs on clementine sorbet or, easier still, clementine granita (our favourite source for the fruit is Nour Cash & Carry). If you want a richer dessert put the biscuit crumbs on the bottom and cover with liqueur or brandy before putting the sorbet on top (this is inspired by a dish on the revamped menu from Shrub and Shutter).